Fig. 1. 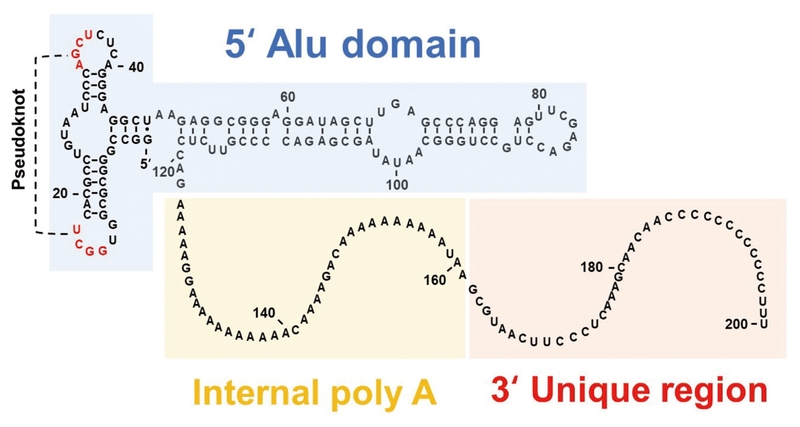 BC200 RNA is composed of three domains: a 5′ Alu domain, an internal A-rich domain, and a unique 3′ domain carrying C-rich sequences.